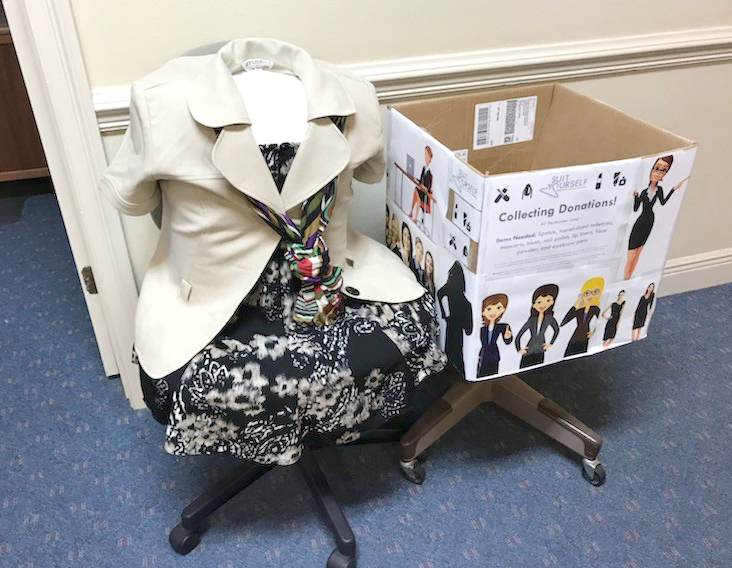 ProHealth will be accepting donations for Suit Yourself, a ministry that helps local women find employment and independence in the community. 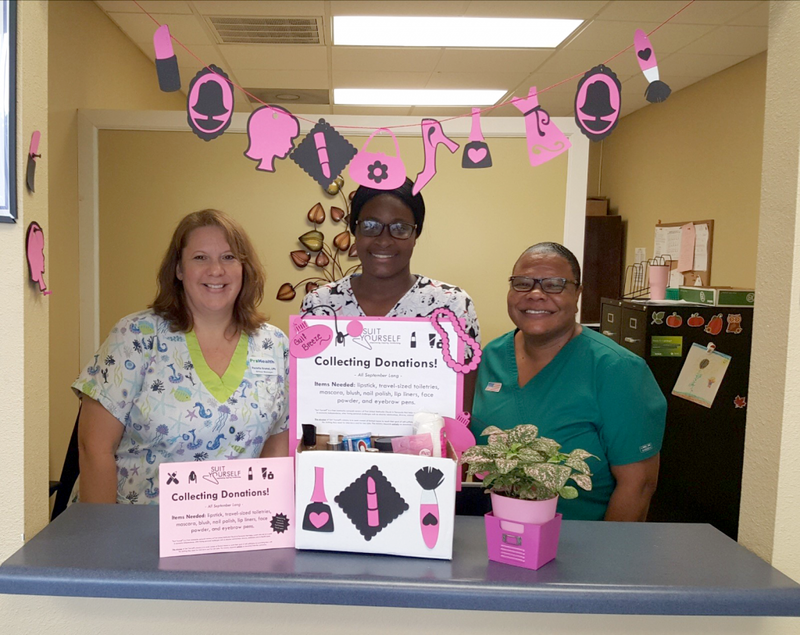 Pensacola, Florida – ProHealth and ProHealth Medical Care will be accepting donations for Suit Yourself, a free community outreach ministry of the First United Methodist Church that helps women in the community find a path to economic independence, after facing personal challenges such as abusive relationships, divorce, addictions or health issues. 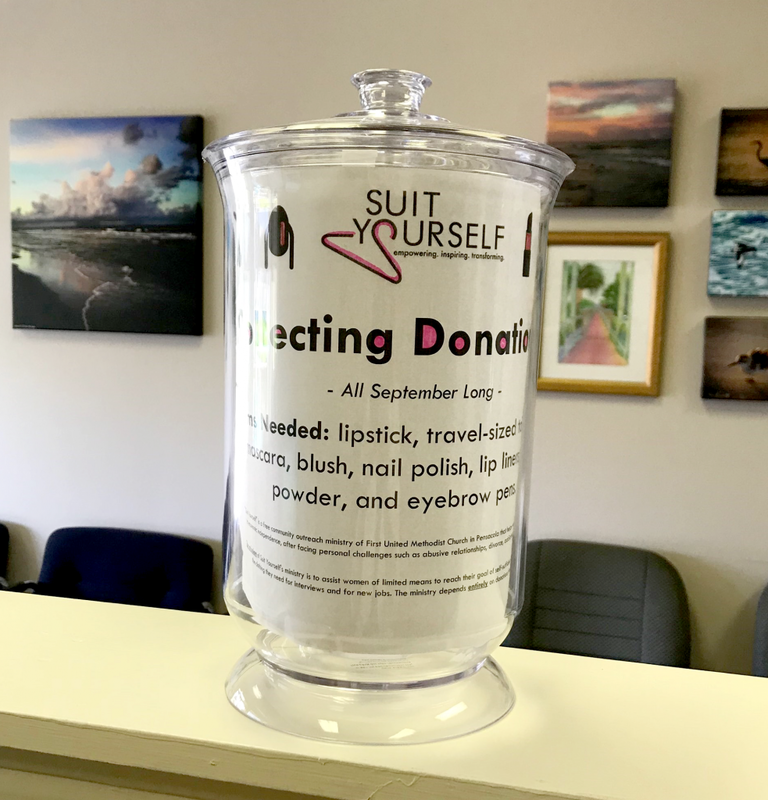 Suit Yourself provides women of limited means with clothing, makeup, and personal hygiene items to empower these women to gain employment, confidence, and self-sufficiency. 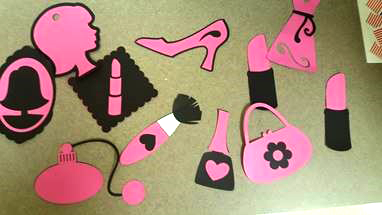 Suit Yourself depends entirely on donations from the community. 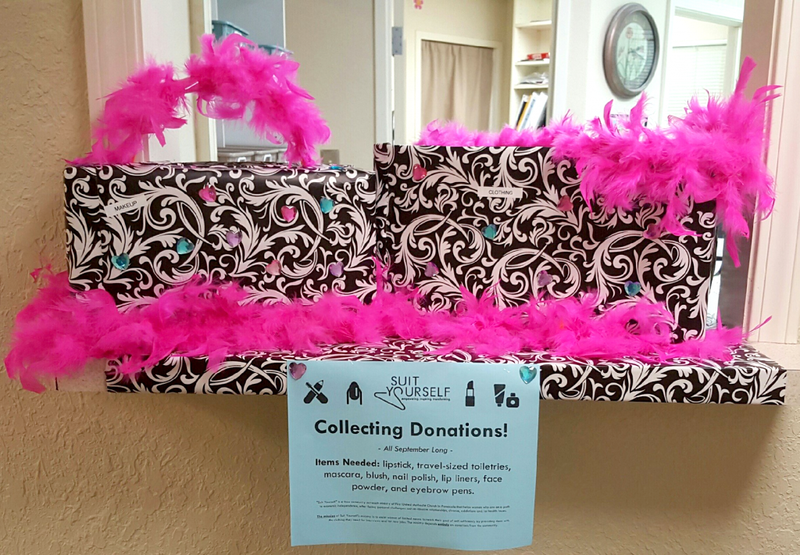 ProHealth offices will be accepting donations for the entire month of September and into October. The main collection focus will be on unopened makeup items and toiletries, including shampoo, conditioner, soap, lotions, lipstick, mascara, blush, nail polish, lip liners, eyebrow pens, face powder, makeup remover, moisturizer, and face wash. Gently used clothing, bags, and shoes are also happily accepted. 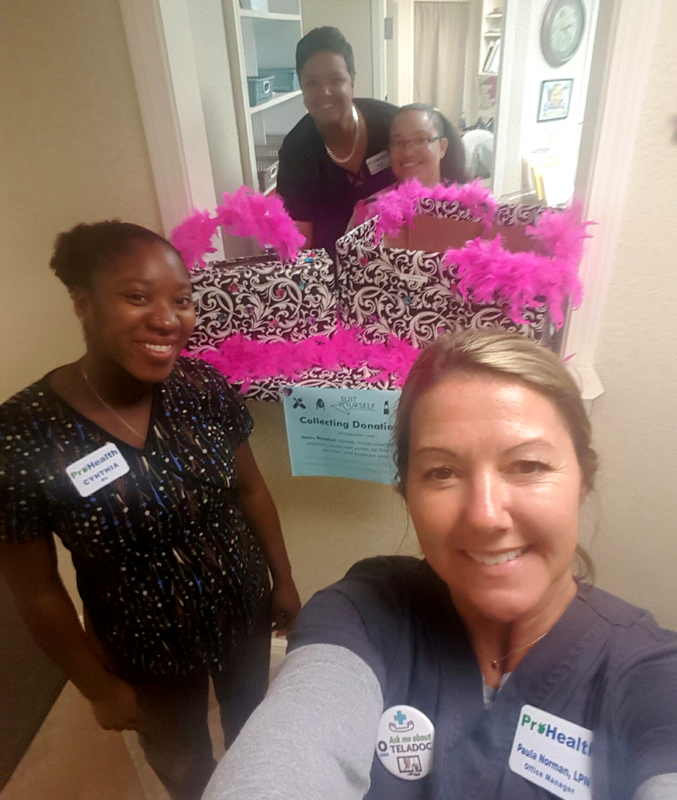 ProHealth has walk-in clinic locations in Gulf Breeze and Pensacola and offers lab/health testing locations in Pensacola as well as in Crestview, Milton, Santa Rosa Beach, and Fort Walton Beach. 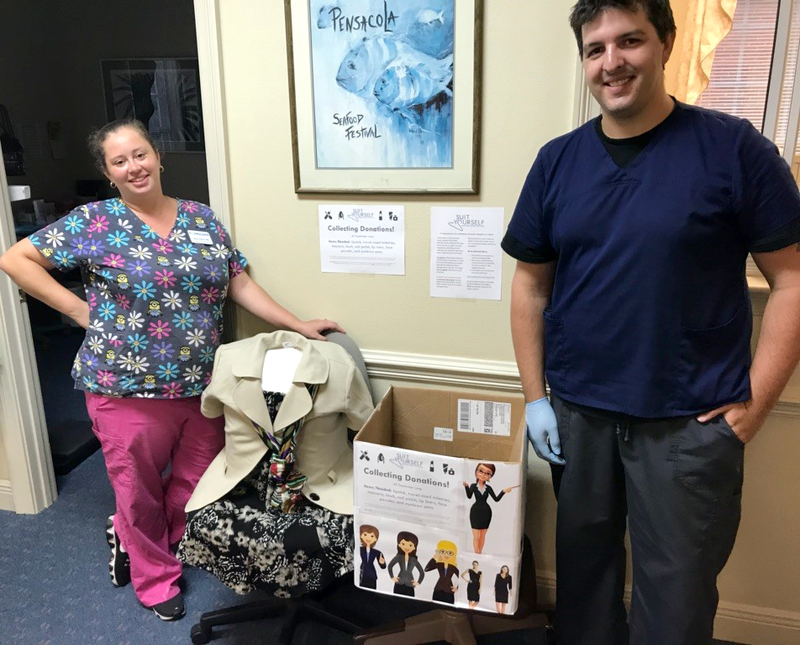 Dedicated to helping the communities of Northwest Florida, ProHealth will be accepting item donations and cash donations for the Suit Yourself ministry through October and encourages anyone to stop by and drop off any unopened items you can. Don’t forget to get your flu vaccine while you are at it! ProHealth offers injection and FluMist options for the 2018 flu season. In addition to walk-in clinic services, lab testing, and flu clinics, ProHealth offers Medical Memberships which include Teladoc 24/7 virtual care access, giving patients around-the-clock access to a group of online doctors that provide them with the medical advice and prescriptions they need without requiring an office visit. Medical Membership benefits also include unlimited office visits at clinics located in Pensacola and Gulf Breeze, low $12 copay, 10% off lab work and procedures, free yearly flu vaccine, 50% off vitamin B12 shots, and the ability to add family members with no registration fee. The price of a Medical Membership is $34.95 per month per person. For more information about Medical Membership visit ProHealthFL.com.